A Congregationalist minister, Channing founded Unitarianism, a liberal take on Christianity that advocated a rational approach to Scripture and religious belief. Linked to this was Channing’s advocacy of Transcendentalism, a philosophy whose most famous exponent was Ralph Waldo Emerson and that proposed the essential unity of all creation and the innate goodness of humankind. 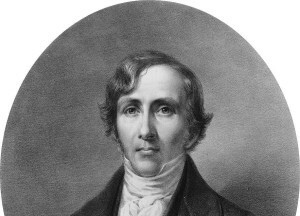 Channing exerted a profound influence over 19thcentury American religion, philosophy, and literature.